New Condiment Released To Distract Joyless Citizenry. 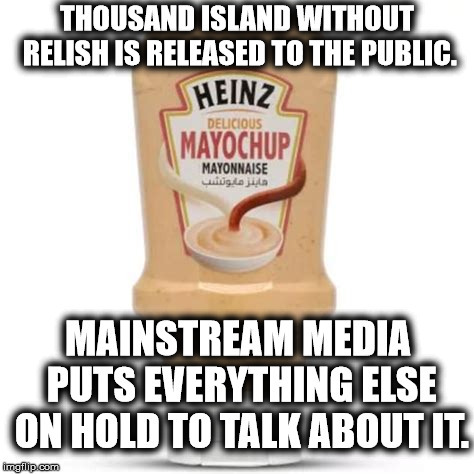 THOUSAND ISLAND WITHOUT RELISH IS RELEASED TO THE PUBLIC. MAINSTREAM MEDIA PUTS EVERYTHING ELSE ON HOLD TO TALK ABOUT IT.